For professionals in the hospitality services industry looking for restaurant jobs, it can be hard to find great opportunities without inside information or connections. It can be even more difficult if you don’t have the first clue how to get a job at a restaurant. However, if you understand the way many establishments hire (it can be more than just a restaurant application and quick interview), use common sense when conducting your restaurant job search, and are prepared to prove yourself, you will find success in one of the largest sectors of the economy with more than 13.5 million employees. In many industries, the top place to look for opportunities is online. There are plenty of job boards out there (like iHireHospitalityServices, for instance) that advertise postings on behalf of employers. However, when it comes to running a successful restaurant job search, you’ll need to look beyond employment sites and utilize your networking skills to find out about potential openings. Hospitality services workers tend to be a pretty close-knit group, so if you have friends and former coworkers who have moved on to other restaurant jobs, one of the best things you can do is to check in with them every so often to see if they’ve heard anything about hiring plans at their establishment or elsewhere. Another option is to make an effort to befriend managers at restaurants in your area. If given the choice between hiring a complete stranger or a qualified acquaintance/friend, most people will choose the latter, so it will be to your benefit to do a little bit of schmoozing. It may not be overly complicated, but looking for jobs online and keeping your ear to the ground is sound job search advice for restaurant workers. If you’re only using one method to find open positions, you’re doing yourself a disservice. Unlike a lot of employers nowadays who run their entire hiring process online, there are still many businesses in the hospitality services sector that prefer (or demand) candidates show up in person to submit their resume and restaurant applicatio. In fact, this can even lead to an impromptu initial interview with the restaurant manager or GM, which will enable them to get an idea of your disposition and personality before having a look at your work history. Delivering your resume and restaurant application in person is a great idea. However, there’s one way that it can backfire big time: showing up during rush hour. Ask anyone who’s held a lot of restaurant jobs and they’ll tell you war stories about being so far in the weeds during an especially bad rush that they couldn’t even think straight. The last thing anyone wants to deal with during a busy period is someone asking to drop off a resume or see the GM. Rush hours can vary depending on the type of restaurant, so you’ll need to know a little bit about the business before showing up to hand in your resume. One way to avoid shooting yourself in the foot is to call the place ahead of time and ask when their busy periods are so you can avoid bothering the GM during a rush; or if you followed the first tip and have a friend who works at the restaurant, simply ask them when you should drop by. If you don’t learn anything else about how to get a job at a restaurant, please remember this: don’t show up during rush hour. Being attractive is not a prerequisite for most restaurant jobs; however, if you’re going to visit a potential employer in person, you need to be presentable. You don’t have to be dressed to the nines to submit your resume and restaurant application, but even if you’re not applying for a customer-facing role, you should be well groomed. Wearing disheveled clothing or displaying poor hygiene will not make a good impression. For anyone wondering how to get a job at a restaurant and—more specifically—what to wear to help your restaurant job search, the first thing you should do is look at what the wait staff is wearing. Employee uniforms will give you a great idea of the brand and provide a blueprint for how you should be dressed when you inquire about employment opportunities. Is everyone dressed in dark slacks and crisp, white dress shirts? Does the uniform consist of khakis and flannel button-ups? Do the waiters and waitresses each have at least a dozen pieces of flair? When it comes to job search advice for restaurant workers, examining uniforms is an important tip. Taking stock of what employees are wearing can tell you a lot about what is valued by management and may even help you decide if it’s the type of restaurant where you would like to work. Once you’ve conducted a thorough restaurant job search, identified an opportunity that suits your needs and interests, and applied for the role, the only thing left is to get the job. Easy, right? Maybe not. Veterans of the hospitality services industry know that hiring practices can vary greatly depending upon a particular restaurant or even a specific GM. For candidates who have been referred by current employees, the interview process may be a formality. Regardless of whether you have an inside contact, you must be prepared to prove yourself to a potential employer. The hiring process will differ for front-of-house roles versus back-of-house positions, but you will likely be expected to go through some sort of testing prior to being offered the job. If you’ve applied to be a bartender at a nightclub, for instance, you might be asked to display your abilities to make drinks with accuracy and speed. 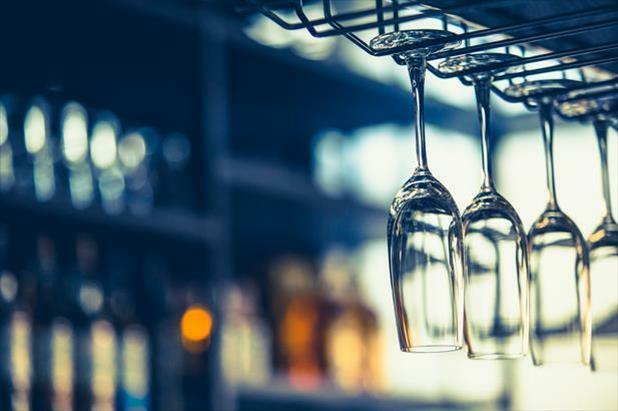 Bar staff at a fine dining restaurant may be quizzed on their wine knowledge, and if you want to sling suds at your local tavern you may be asked to execute a perfect pour. For waiters and waitresses, the challenge may be to quickly memorize and describe a list of daily specials or roleplay different scenarios to demonstrate how you can handle difficult situations. No matter what the hiring process is, whether it consists of a quick interview or a multi-round trial where you’re pitted against a group of fellow applicants, the best job search advice for restaurant workers is to do a little bit of research about your potential employer and come prepared to demonstrate why you’re the best person for the job. Now that you know how to get a job at a restaurant, are you ready to kick start your restaurant job search? If you’re a savvy veteran of the hospitality services industry or looking for your first position, check out iHireHospitalityServices and view openings for bar staff, bartenders, hosts and hostesses, maître d roles, kitchen staff, porters, wait staff, and more!